Church is a perfect place to celebrate Easter. Use these ideas to make your next Easter church gathering a success. This is a guide about ideas for celebrating Easter at church. My church asked me to help put something different and special together for Easter. I could really use some ideas. We have a huge Easter Egg hunt and party for our community. Our pastor reads an Easter story (one that shares the Gospel but that also appeals to the children and any unchurched adults). We then have crafts and games where kids win prizes, then an egg hunt. We conclude with a lunch (hotdogs, PBJs). One thing we make are egg cartons filled with items from the Easter story: 12 eggs each a different color in a recycled carton (obtain from your congregation). Glue a key verse to the lid and the a key inside telling what each item represents. Kids fill each egg with items representing the story: a cross, a nail, a stone, cinnamon, a piece of linen, etc. The last one is empty! Gives me goose bumps! If you have a large cross at church from past dramas or for decoration, lay it down on the floor and prop it so the top of the cross is elevated and leaning toward the congregation a bit. 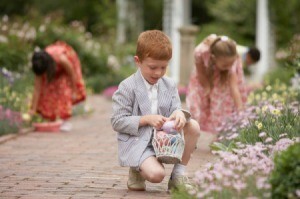 Artfully arrange some large stones around it in groupings and place easter lillies in their midst. The cross being down is fitting because Jesus is no longer there, and the lillies are a metaphor for our eternal life borne of the work of Christ on the cross. When I did this I draped a long white piece of gauzy fabric across the cross in a flowing arrangement and placed a rose on it wtih petals strewn around the area of the crossbeam. I plan to take our children to the park and put out about 200 plastic eggs (including the 12 ressurection eggs) and give them 30 seconds to pick up eggs. I am going to have the children who find the resurrection eggs come up and show what is in the resurrection eggs. Then have them sit down and listen to the story Benjamin's Box which goes along with the ressurection eggs from Family Life Min. I will also have pictures of the items on poster board and have children hold them up during the story. After the story I will emphisis Jesus' sacrifice and have the children sacrifice their candy filled eggs with the knowledge they will receive something better at the end of the day. Just as Jesus knew that his sacrice would bring him something better in the end. While they have free time I will have helpers divide the eggs evenly and put prizes which say He is Risen which I purchased from Oriental Tading Co. in each bag. Than have children come back and receive their gifts. This will be our first time doing this so we are not using it as an outreach this year. We are a small church so there will only be about 18-20 kids. 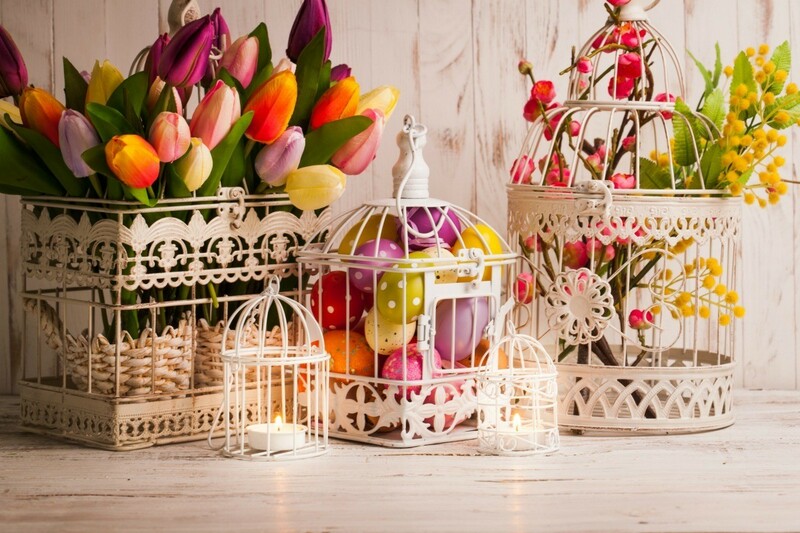 Decorating ideas for an Easter church activity or event will be defined by the focus of the event. If it is tied to the religious observance then the color purple is a place to begin. This is a guide about Easter day church event decorations.